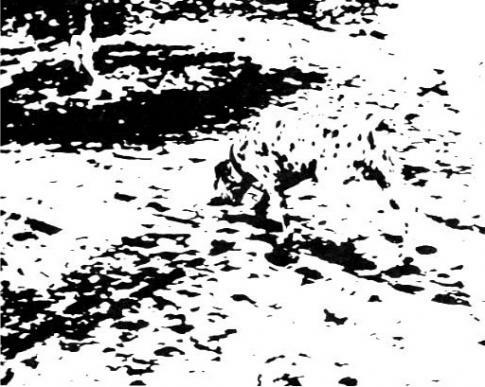 This illusion shows a dalmation sniffing around on the ground. The dog itself nor its surroundings can be identified by any one of the shapes in the image, but when taken as a whole the image of the dog can be recognised. cccccccoooooooollllllll and lefty you are wronge because i am right handed and i can see it!